Generation Z is defined as the post-millennials, having birthdates from about 1995-2012. Recently Gen Z is also being defined by the young, outspoken students from Marjory Stoneman Douglas High School in Parkland, Florida. 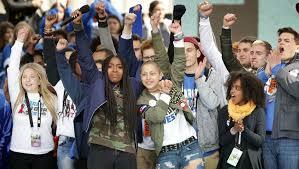 Parkland students at March For Our Lives in Washington D.C. These students were first forced to speak out about gun violence after a shooting happened at their own school. Since then, the students, led by a group of seniors, have taken the country by storm. Speaking at various events and various news outlets, they are letting people know their opinions about gun control and the NRA. The students even organized a march in Washington D.C., which quickly spread to major cities all around the country and world and attracting many celebrities such as Lin Manuel Miranda, Miley Cyrus, and Ariana Grande. The influence of these students has brought attention to Generation Z. Some people are recognizing how smart and well-spoken the future of America really is. In addition to the large, widespread march the students planned, they did and have continued to call out politicians and seek change in America. The most recent example of these kids’s incredible influence happened this past week. When senior David Hogg was rejected from four California universities, Laura Ingraham took it upon herself to tweet about it. “David Hogg rejected by four colleges to which he applied and whines about it,” Ingraham said. 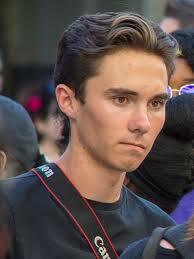 When Hogg discovered the tweet, he called on Ingraham’s advertisers to boycott her show. So far more than a dozen advertisers have pulled out from her show. among them includes Johnson & Johnson, Nestlé, Hulu, Jos. A. Bank, Jenny Craig, and Ruby Tuesday. After her loss in advertisers, Ingraham was quick to make an apology to Hogg. Some people are upset in Hogg’s decision to mess with Ingraham’s job because of a petty tweet. Others are impressed with how quickly the advertisers listened to Hogg. If this ordeal proves anything, it is that the Parkland students and generation Z are a force to be reckoned with.